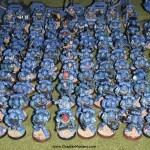 Here we have the Games Workshop studio’s collection of Ultramarine Veterans in power armour. 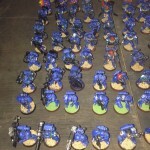 Of all the Ultramarine companies the 1st Company paint schema is my favourite by far. 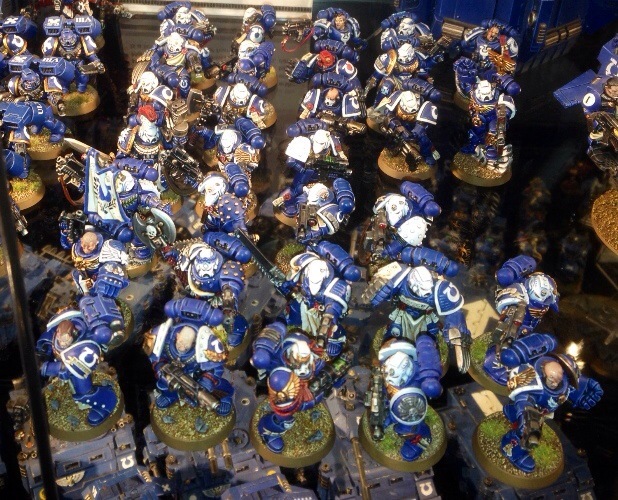 The blue and white looks just as good on Ultramarines as it does on world eaters. 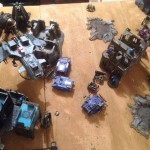 I almost posted a picture of Centurions today, but I couldn’t do it. It made me feel dirty. I’m so glad I didn’t. 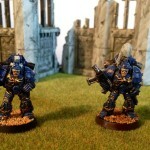 This entry was posted in Gallery, Space Marines, Ultramarines. Bookmark the permalink.